Lennart Andersson, the director of LiRo’s Virtual Design, Construction, & Operations (VDCO) group, and his team uses industry-leading tools like Revit, Navisworks, InfraWorks, Civil 3D, ReCap, and BIM 360 Ops to help project teams make better-informed decisions and deliver the best possible project outcomes for their clients. LiRo provides construction management, engineering, and architectural solutions. The firm has been been involved in some of the country's top projects, including the post 9/11 rebuilding of Lower Manhattan and NYC’s High Line Park. The firm's dedicated VDCO group supports individual projects. But it also investigates new technology developments to help keep the firm at the forefront of VDCO and BIM (Building Information Modeling). Many firms use BIM to produce design documentation more efficiently and improve design quality. But often they do not share their BIM models with external project stakeholders. Instead, traditional 2D drawings are still the basis for project collaboration, deliverables, and multi-discipline coordination. Not so for LiRo. Its BIM projects are distinguished by collaborative working and sharing of digital project information and virtual project models. Teams use 3D models for collaboration, coordination, visualizations, and deliverables. LiRo’s VDCO group helps clients develop their BIM standards, requirements, and contracts, and provides them project-based team support. In addition, the group helps clients develop strategies for integrating and institutionalizing BIM practices throughout their organizations and their supply chains. One of LiRo’s current BIM projects is New York City’s East Side Access project—currently the largest infrastructure project in the country. When completed, it will connect trains from Long Island and Queens to Manhattan’s Grand Central Station. 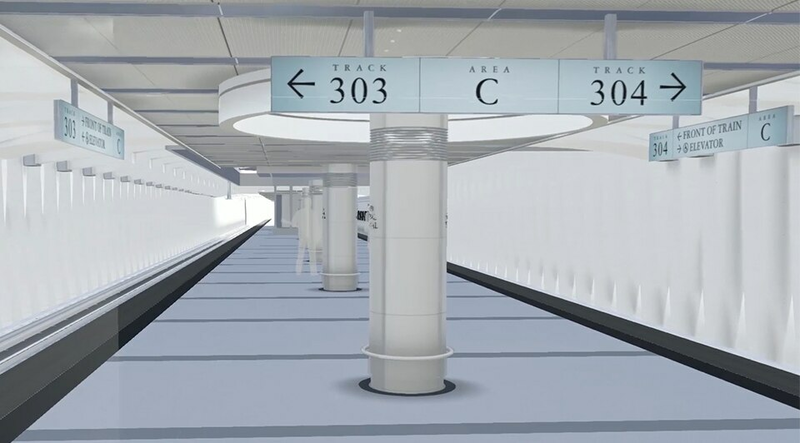 The project includes over 8 miles of new tunnels and an 8 city-block long concourse with multiple train platforms 150 feet below Grand Central Station. The project’s design unfolded over the course of several decades. The original design effort began in the 1960s and was completely paper-based. After several stops and restarts, the design was completed using 2D CAD tools in early 2000s. In 2012, realizing the challenges facing the East Side Access project, the New York Metropolitan Transit Authority (MTA) asked LiRo’s VDCO group to demonstrate how it used BIM on the Number 7 subway line, a previous project engagement. After that meeting, MTA hired the group to transition the entire East Side Access project to BIM. Converting a megaproject like the East Side Access to BIM didn’t happen overnight. 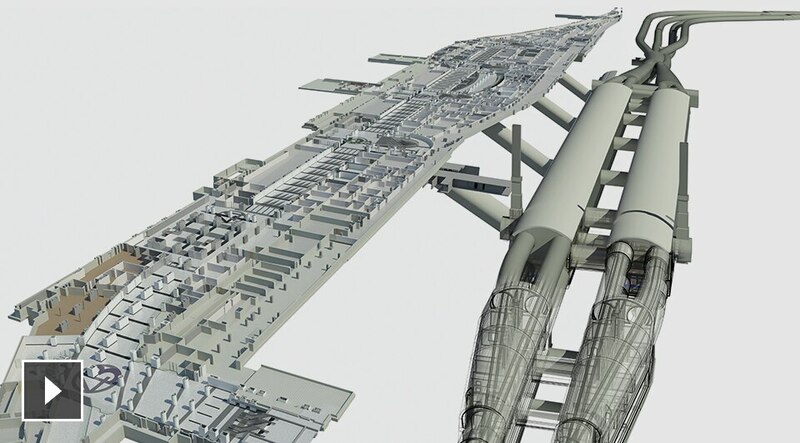 The VDCO group used Revit to model the entire project based on the original construction drawings—developing over 125 interconnected models. To maximize the accuracy of their models, LiRo scanned some existing facilities, such as the Madison Yard that will house a new passenger concourse. 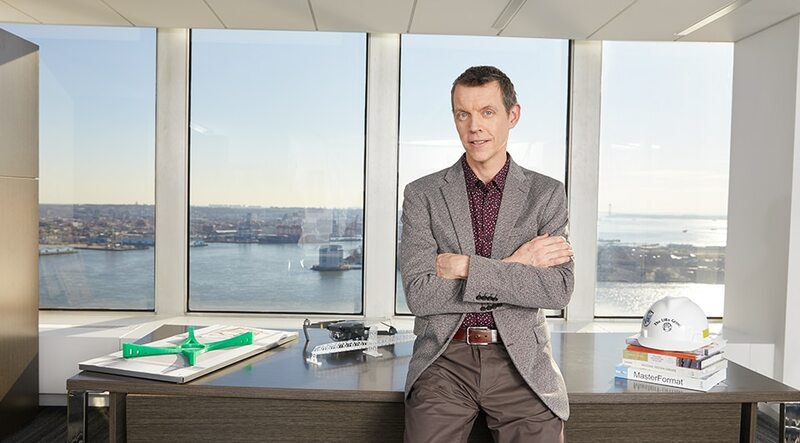 “From that effort alone, we found close to 400 issues that needed to be addressed before construction—saving MTA a massive amount of rework time and money”, says Andersson. LiRo uses BIM on all its major design and construction management contracts, while expanding and innovating its practice to encompass new developments in BIM and taking full advantage of the range of tools in the Autodesk Architecture, Engineering & Construction Collection. For instance, it uses InfraWorks to help project teams plan infrastructure projects in the context of the real world. It uses other tools to produce virtual reality experiences and mixed reality technologies to create holograms of design models for immersive virtual project simulations. The firm is expanding its scan-to-BIM services by using camera-mounted drones to verify construction progress. And LiRo is repurposing models for use in the operations stage—helping its clients maximize the lifespan of their assets. For LiRo, with BIM and the Autodesk AEC Collection, the possibilities of VDCO to improve planning, design and construction are only just beginning. The Architecture, Engineering & Construction Collection gives you access to a set of integrated tools and powerful workflows for building design, civil infrastructure, and construction—to help you deliver your best work. Our sales team can help you find the right tool for your needs. Your message has been received. We'll get in touch shortly.